The viking army, which had suffered heavy losses in the Loire area, where only 300 vikings survived made a winter camp at a French island in the river, named Jeufosse. Cerball mac Dunlainge slaughtered a bunch of Viking intruders, led by Rodolb. In the aftermath of the battle Cerball mac Dunlainge was captured by Vikings, but he escaped. Cerball joined a group of Danes led by a chief named Orm in their war with the Norwegians. These Danes might have come from Waterford. 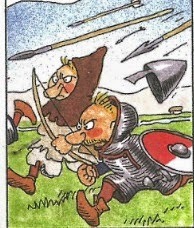 People of Munster begged for Cerball's help against the Vikings, and Cerball with local Irish from Osraige & Munster And Orm's Danish vikings inflicted a heavy defeat on the Norwegians. 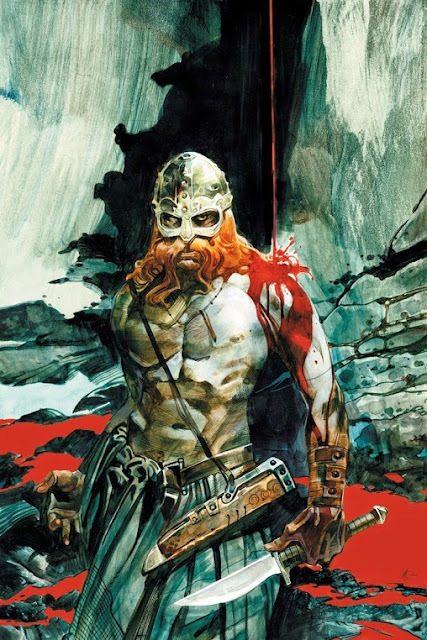 Dubh-Ghenti led by a Norse-Irish chieftain named Orm attacked Gwynedd, only to be repelled by Rhodri Mawr who killed Orm.